Managing liquidity by establishing complex redemption terms is a necessary lever for portfolio managers to protect their investment thesis from potentially short-sighted investor decisions. However, configuring and maintaining those terms can be an operational nightmare for IR and operations professionals. Besides the investor-driven demand to know their liquidity, regulators have also played a role in increasing the need for IR teams to understand their investors' liquidity profile across their funds quickly. Take Form PF, for example, one of the questions fund managers are required to answer is investor liquidity of its funds. Knowing potential liquidity requirements is also critical for a portfolio manager to match the liquidity of portfolio investments to the expected and potential liquidity demands from investors. Given these requirements how can an IR professional stay on top of the investor liquidity? Since fund admins are most often considered to be the official books and records for a fund, they should maintain an accurate accounting of investor liquidity and have the capacity to provide this information to their clients. Many investor relations teams choose to outsource their liquidity reporting, depending wholly on their admins to report investor liquidity on a regular basis. Many smaller to mid-sized IR teams who are often spread thin view this strategy as advantageous because it frees them up to focus on their core competency: investor relationship management. This process may not work for everyone, however, and there are a few gotchas to keep in mind. In particular, funds with multiple admins, or admins that don’t report this information in a clear and regular fashion may face some challenges in collating the information they need in a similar format. Further, the dependence on reporting from an external vendor, like an administrator, also creates a lag in getting a needed response. In turn, this delay is then transferred onto the investor or regulator who is looking for these details in a timely fashion. To have liquidity information on demand, many funds choose to keep tabs on it in-house. 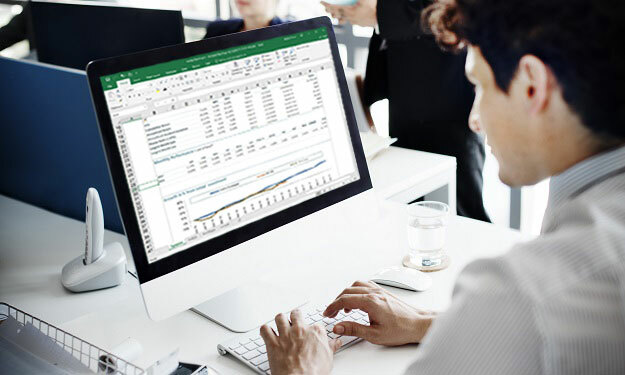 Maintaining an internal spreadsheet with each investment tranche, allows the firm to track both the redemption rights and account values of each tranche for each investor. Because this is a manual process, for most funds, it requires a truly herculean effort to create and maintain. The value of each tranche needs to be updated on a regular basis, and all the redemption and transfer activities have to be meticulously logged. Not only is this method troublesome and prone to error, it often results in duplicative work. For many funds leveraging industry-specific software, like Imagineer's Clienteer CRM, proves best. Not only does using a commercial product enable managers to take control of their liquidity reporting in-house, it also helps them to ensure their processes are streamlined, riskless, and easy to manage. Given that liquidity often depends on specific investment tranches, tranche level data for each investor/account needs to be input into the system. Most often, fund administrators provide this data as an extract. The ideal situation is to have the data flow from the official books and records of the fund – either the fund administrator or third-party accounting firm – directly into the software. Many liquidity terms have lockups based on the anniversary date of the investment and having tranche level data, such as the date of the investment, and the current valuation of that tranche make the liquidity calculation possible. Investment redemption terms must be accurately stored in the software for each investment class and transaction. Even as terms increase in complexity, Clienteer is able to handle hard lockups, soft lockups, gates, a wide range of redemption frequencies and more. When investment terms are captured accurately, the system can calculate the availability of funds and amounts based on fund level gates. Inasmuch as liquidity terms and tranche level data is properly captured, Clienteer allows users to generate a liquidity schedule that looks out from the current date assuming all accounts are redeeming when eligible. It also includes an entire section for each month or redemption period detailing liquidity for each investor account. This information aggregates at the firm, fund, and class levels, ensuring the most accurate reporting. In order to match the fund's official books and records, Clienteer also supports the most granular accounting levels (lot or tranche) and the seamless importing of those numbers from a fund administrator or partnership accounting system. 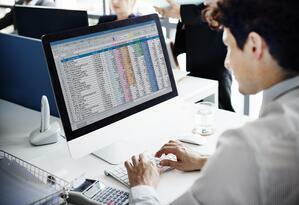 Shadowing an administrator's reporting provides a level of comfort in the accuracy of the calculations. Additionally, it helps minimize the burden of having to try and calculate the information haphazardly on a one-off basis, which often results in conflicting results and creates more confusion than clarity. Deploying software to manage liquidity reporting decreases the amount and need for human manipulation of the data, resulting in a less error-prone process and more control over the data. There are many challenges to having all the answers to questions you or your clients may have about liquidity at your fingertips, but with the proper planning and the right systems in place, this seemingly daunting process can turn into one that's manageable for any investor relations team.